Can you say hat trick? 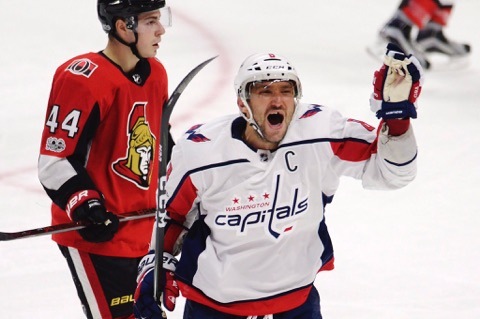 The captain Alex Ovechkin carried the Capitals to an overtime victory as they defeat the Ottawa Senators 5-4. More goals were scored tonight than the 3 games they faced off last season. Ovechkin also had 0 points in those three games. The Capitals were tremendous on the power play kill tonight as they were 5 for 5 including the overtime kill. It was a mixture of ups and downs for the Capitals in the first period. Their offense started off slow as they did have a shot on goal until 5:29 into the game. The Senators struck first as they received a goal from defenseman Chris Wideman (6:25). The Capitals would waste no time answering as they get a goal from Brett Connolly assisted by Matt Niskanen. Capitals left winger, Jakub Vrana showed early in the game his aggressiveness by trying to jam the puck in the net by his puck digging. The Senators were able to score on a turnover from Capitals’ John Carlson as Mark Stone put in in the back of the net. The Capitals were finally able to get their first power play of the game as Ottawa was caught with too many men on the ice. As the second period was coming to an end, the Capitals scores but it was waved off as they were called for high sticking. The third period was Alex Ovechkin’s period as he dominated by scoring three goals, getting his 18th career hat trick and his first to open a season. 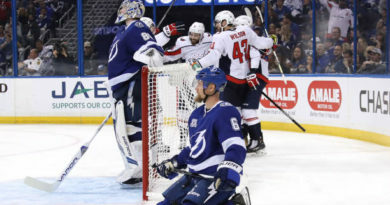 Despite the Capitals success on offense, the team struggled on defense as they gave up two goals to Derick Brassard and Mark Stone, his second of the night. Three on three overtime hockey on opening night for these two teams. Evgeny Kuznetsov was angry as he was sent to the penalty box early in overtime for holding. Capitals were able to kill the penalty and force a shootout. 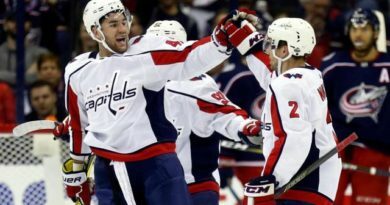 Ovechkin and Kuznetsov were able to score in the shootout to lift the Capitals to a 5-4 victory. Michael Bish is a Writer/On-Air Personality at FOX Sports/WHAP. 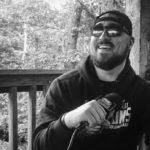 He covers NFL, NHL, NBA and College Football. He's covered major sporting events and has interviewed several professional and collegiate athletes. Michael is also a Co-Host on The MC Sports Report on FOX Sports Radio WHAP.